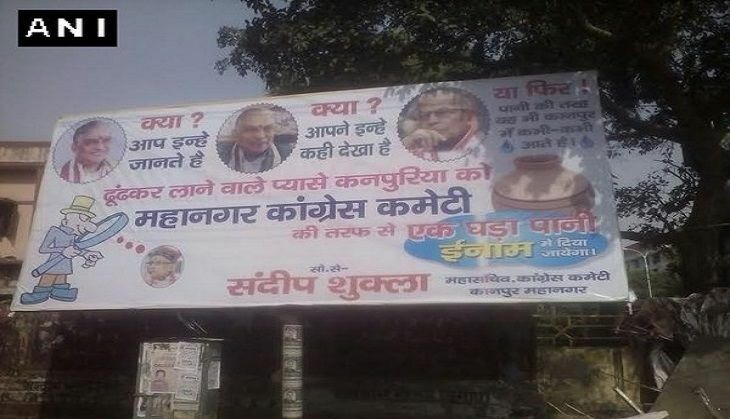 In the backdrop of the Kanpur water crisis, the Indian National Congress party has released posters demanding to know the whereabouts of Bharitya Janata Party's senior leader and Kanpur MP, Murli Manhor Joshi. Party members have also announced a reward of pot of water for anyone who finds Joshi and brings him to Kanpur - his parliamentary constituency. Congress leaders have come down heavily on Joshi for allegedly ignoring his constituency. "The city is facing acute shortage of water and in such situation Murli Manohar Joshi is doing nothing for the people. He never visits his constituency, he can only be seen attending functions whenever he is in the city. It seems he has no responsibility towards Kanpur," said Har Prakash Agnihotri, Congress President, Kanpur. 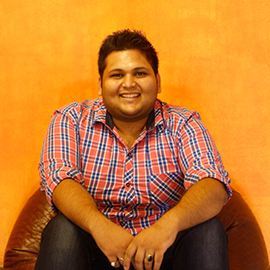 "I also want to ask the people that water is essential for them or the Hindutava agenda. The BJP only fools people by talking about the Hindutava agenda, the party has absolutely zero feelings for the public." Speaking to Catch, Sandeep Shukla, General Secretary, Congress, Kanpur said "There are 4 BJP MLAs in Kanpur district, each of them have done nothing to solve the water crisis. They only give memorandum to the chief minister, instead of giving memorandums if they start doing something to resolve the water crisis then only people will get the basic necessity". In 2015, Congress showered Joshi with unusual attention. The party members also sung bhajans on the same lines. In a unique twist, local women picked up harmonium and dholaks and sang bhajans to "wake him up".